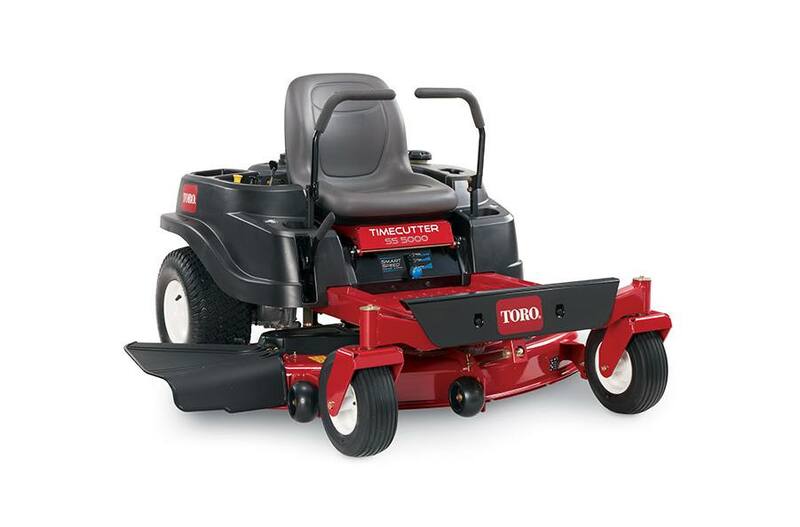 The TimeCutter® SS5000 zero turn riding mower is powered by a 24.5 hp Toro V-Twin 708cc engine with self-cleaning air filtration system. It features a 50", 4" deep, high capacity, 12 ga. steel mowing deck with convenient washout port for cleaning under the deck. Comes with an 18" extra-tall seat for added comfort. 18" Extra Tall Seat: When you're mowing for an extended period, there's no substitute for a good seat. The 18” extra tall seat offers permium support during longer mowing sessions.